This is your chance to decide what you'd like to paint! (Each option includes all the supplies you need to complete a 10X10 Canvas painting within a 1 1/2 hour time slot). Select from numerous paint designs, and then with the help of self-guided instructions, complete your painting within any 1 1/2-hour time slot from 10am-1pm. Last seating at 11:30am for 1pm completion. Option 2) Be the Artist. 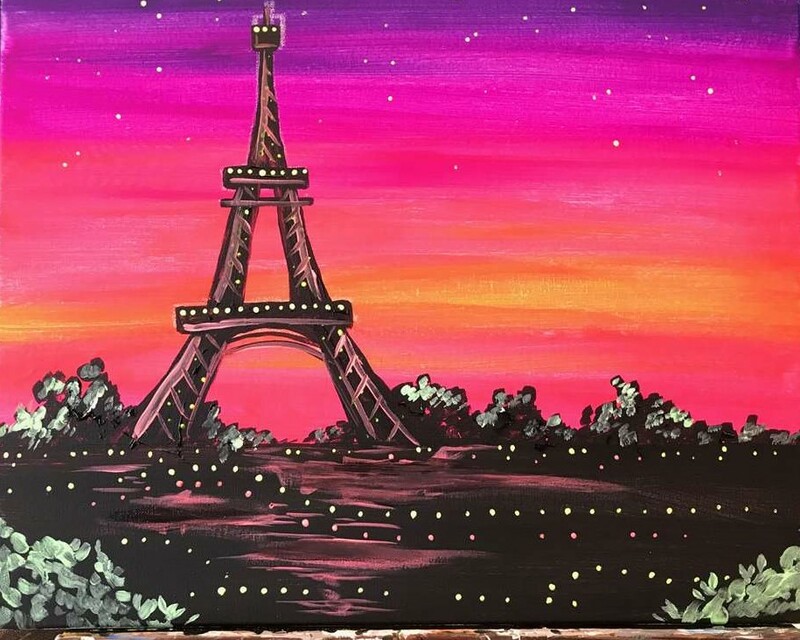 We'll provide everything you need for a fun day out: the brushes, the paints, apron, music, and your own bartender then sit down with some music and start to paint from your own imagination... Have an idea in your head? This is the time to paint it into reality. The bar is always open during all open studio times. Alcohol, non-alcoholic beverages are available and included in your seat price. Kids, ages 5 and up, are also welcome to come paint during any open studio hours.